Detroit Public Television is proud to once again, partner with Sphinx on the competition, the conference and throughout the year. The Sphinx Organization focuses on transforming lives through the power of diversity in the arts; as part of that mission, the organization presented a national convention on inclusion and diversity in the arts, SphinxConnect and the culmination of this weekend's events is the 22nd Annual Sphinx Finals Competition Concert with the Sphinx Symphony Orchestra. 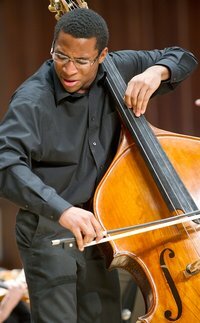 The Sphinx Competition offers young Black and Latinx classical string players a chance to compete under the guidance of an internationally renowned panel of judges and to perform with established professional musicians in a competition setting. Detroit Performs, a production of Detroit Public TV connects you with artists and events that make our region a great place to live. 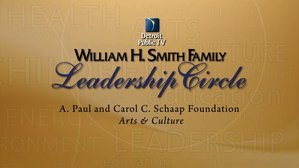 Watch Detroit Performs Tuesdays at 7:30 pm ET on WTVS Detroit Public TV and discover events, share experiences, and watch past episodes on DetroitPerforms.org. Read the latest news from Detroit Performs.